Does your heart desire to train your children in your faith, but then you find yourself making book knowledge more important than disciplining your tender hearts? 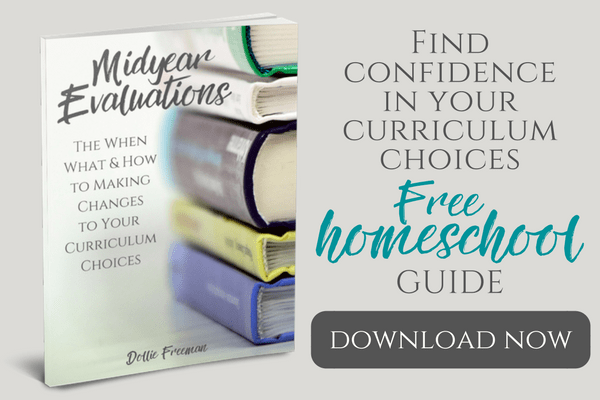 A few of my readers are in this place and have asked me for advice of how to keep their goals of having a faith-centered homeschool and not being so focused on just the goal of finishing their curriculum. Learning from books is so important for the future of our children, and by no means am I saying that our faith should be the only thing we teach, but in stead, I want to share with you from our experience of how you can have a faith-centered homeschool, which sometimes may include lowering your standards for a day or a few days to get to the heart of your children. 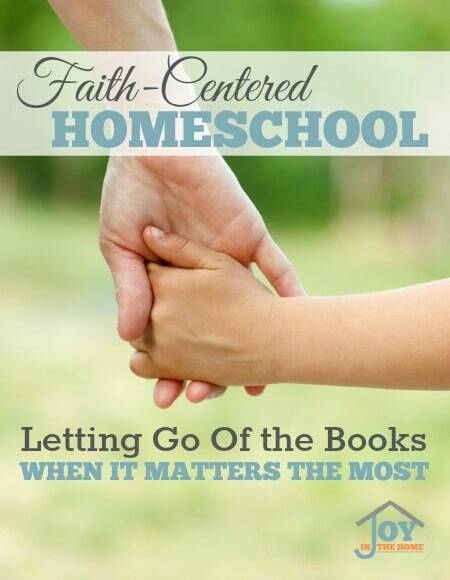 Now that I have that laid out, let me begin sharing with you the keys to having a faith-centered homeschool. In all of our homeschool journey, our family has been memorizing passages of scriptures for the things we need the most at that time in our life. Many of these scriptures can be found in my ebook Build Your House With Scripture Cards. The more we memorized, even as young as two years of age, the more we could weave our faith into our daily routines and situations that arise when you are together every day, all day long. Scriptures became our parenting tool to encourage, reprimand and disciple our children every day. We didn't have a church service every day, or long devotions. 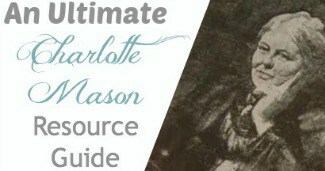 Our method of homeschool consists of short lessons and our Bible lessons were no different. Short lessons that delivered the moral of what we are trying to imprint on their hearts are more effective than an hour of devotions. We loved to make our faith come alive with our children from early years and when we capture their attention, it is very easy to build on at any moment. In our experience, this philosophy of bringing faith into our homeschool the same way we would other subjects, engaged our children, connected them and allowed them to build a relationship with their Creator and Savior. I grew up in a home where the Bible wasn't read together, and it wasn't until I was out of the house that I knew my parent's read their Bible. My husband grew up in a home where the Bible was read to them, and still struggles to read his Bible on his own as an adult. We both wanted something better for our children. As soon as our children were able to read, they were assigned a chapter or more of Bible reading daily. I would still read to them, but we also wanted them to read for themselves. We start with having them read one chapter of Proverbs a day, and than add other chapters from other books as they grow in their reading ability. 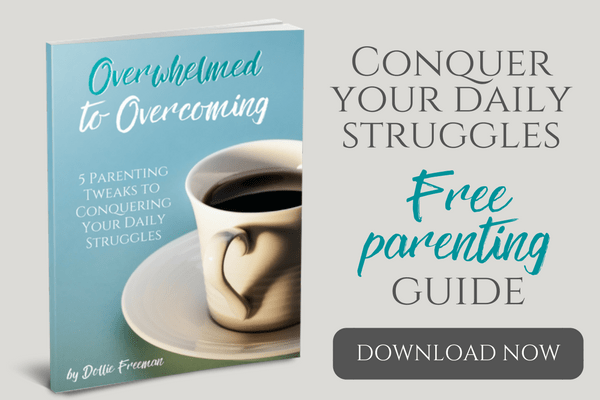 Many times we allow situations to get out of control in our homeschooling that robs us of the time to implement the goals we have in our hearts. I know because I have been there. What I have found is that having a set of standards of consequences for behavioral issues in homeschooling really does work, if you are consistent with enforcing them. By setting a standard, you are also letting your children know what the consequences are for reoccurring issues that seem to be taking more of your day than they should or for behavioral issues that ruin the atmosphere of the home. The only step after that is staying true to the standards and enforcing them consistently. If you do this regularly, your children will quickly learn that you will hold them accountable and will follow the standards set for them. There have been a few times in our 15 years of homeschooling that even these standards weren't enough. We were faced with a choice, allow the root of rebellion to take over our home or put the books away for a period of time and get to what matters the most… the heart of our child. I can recall a lot of tears during these times and not just from the child. These were battle times and going with routine wasn't the answer because it was going to keep coming back and possibly get worse, or even become habits in our other children. Removing the distractions of homeschooling and putting the focus on what was causing the issues was the best thing that I could have ever done with our children when the issues happened. In its place we would assign Bible reading of key scriptures, copy work of key verses, narrations of what they learned, answers to essay questions and lots of prayer time. It was during this time that I created what is now my Discipleship: A Character Curriculum Using Scripture. I realized that having this prepared and part of their curriculum is the better way to have a faith-centered homeschooling.